Championship winning kart racer Josh Keeling has launched a crowd funding campaign to allow him to compete next season. Are you willing to support a young British karter? After watching a Formula 1 race at 8 years old I realised that was where I wanted to be, in the cockpit of one of those cars and racing in the fastest, most glamorous and prestigious racing series on the planet. I became infused in the world of motorsport and a passion became an obsession. Only months later, I went to my local kart circuit and took part in my very first race. I learnt a lot in that time and from that point onwards I have only had a desire to win. 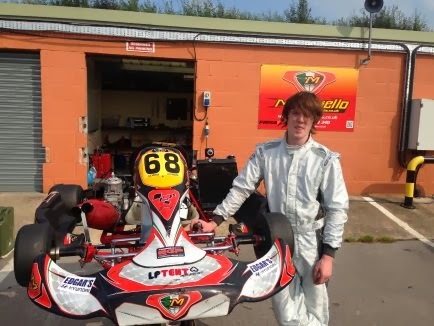 9 years later I have won and competed in many national karting championships across the UK with a title, over 15 race wins and 40 podiums to my name so far. Although a lot has changed in that time I still retain the same passion and obsession of reaching my all time goal of becoming Formula 1 World Champion! I am constantly on the lookout for new opportunities that will enable me to progress into the higher categories of motorsport. My notable achievements include winning the 2008 Mercedes-Benz inkart championship, making it to the finals of the 2009 National Karting championship and finishing within the top 3 in every karting championship I have competed in over the last 4 years. This season I made my debut in high-level national karting in the Easykart UK championship, arguably the most competitive karting series in the UK. Despite being on a modest budget, doing very little testing, having not raced on a single circuit on the calendar and being one of the youngest drivers on the grid I have started to already make rapid progress through the field! I am completely determined, committed and utterly dedicated to my passion for motorsport, I never give up and I always push 110% every time I am out on track. I am highly motivated by a desire to win, and I strive to achieve perfection through making sure I get every last ounce of performance out the equipment I have. I work well under pressure and can quickly adapt to different track conditions. I work effectively both individually and as a team. I am motivated by a desire to be the best, I am here to win and I will only be satisfied with nothing less than the best results. Karting at Surbiton raceway and Sandown Park, Esher.